It's that time of the year. 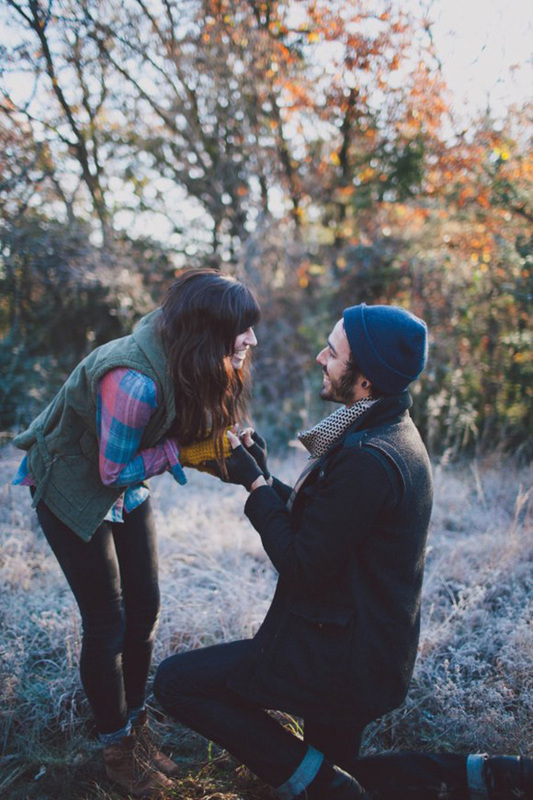 Cozy sweaters, fireside cuddling, hot chocolate, family time, and snow days... it's no wonder that this romantic season is one of the most popular times of the year for a proposal! If you're hoping for a diamond on your finger rather than presents under the Christmas tree this year (or maybe you can have both, why not?) then there's a few things you need to know. Choose when to tell friends and family wisely -- because once you do, wedding planning officially starts! I'll be honest -- there's not much you can do to prepare for your holiday proposal besides keep your nails manicured... just in case. 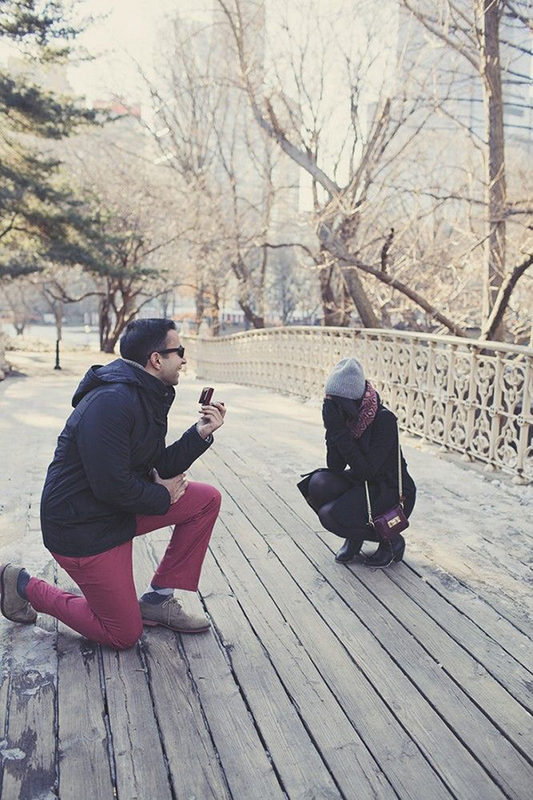 So instead, why not dream of the big moment by checking out these oh-so-romantic winter proposals below? 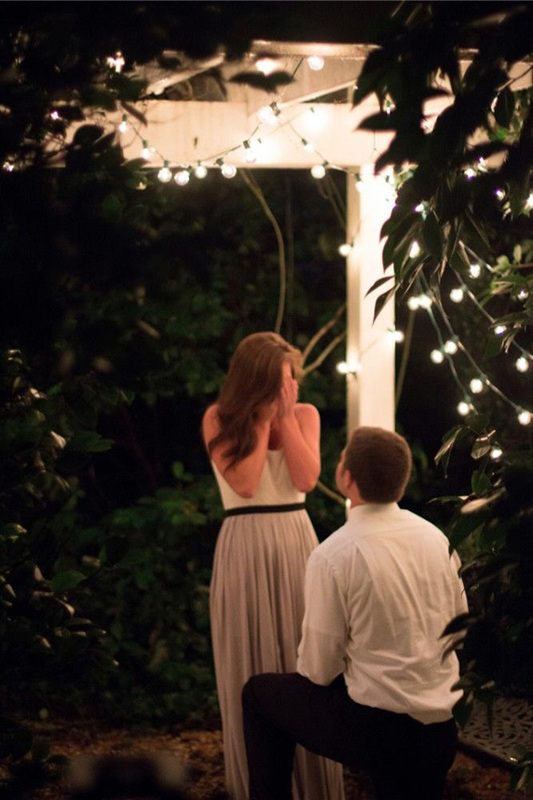 If you've just had your own proposal, congratulations! A holiday engagement is an amazing time to spend celebrating with friends and family, so you should do just that! Pin your favorite proposal above... just in case your special someone needs a little hint! 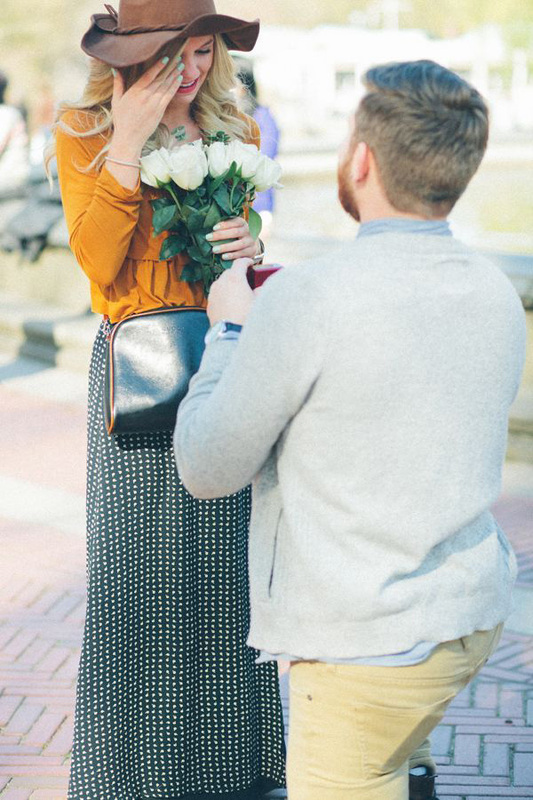 PS -- If you want even more magical proposal photos and heartwarming engagement stories, make sure to check out How He Asked. Proposals galore!